Last week fellow Budget Byter Becky sent me a link to this awesome recipe for Enfrijoladas from MexicanPlease.com. 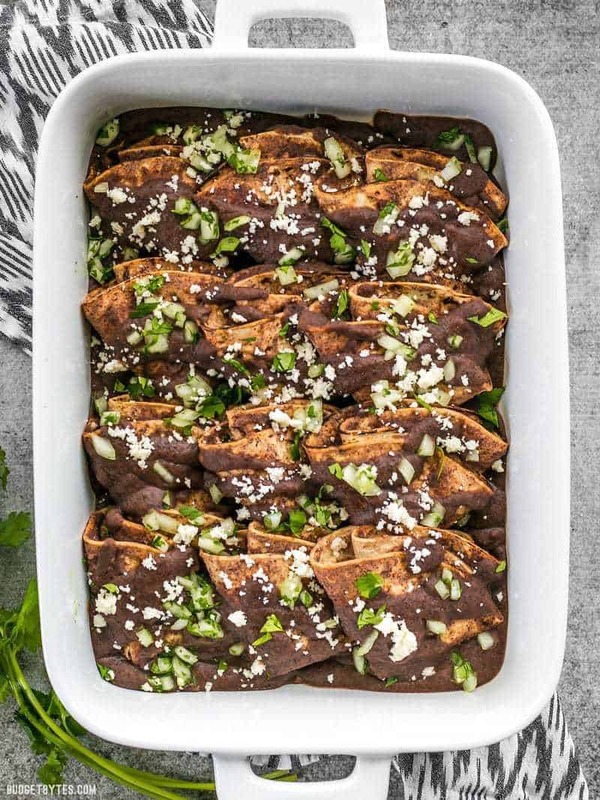 I was immediately intrigued by this dish, which seemed to me to be just like enchiladas but with a quick black bean sauce in stead of an enchilada sauce. I knew I had to make them! I did a little recipe research and found that, like many recipes, there are a 101 ways to interpret Enfrijoladas. 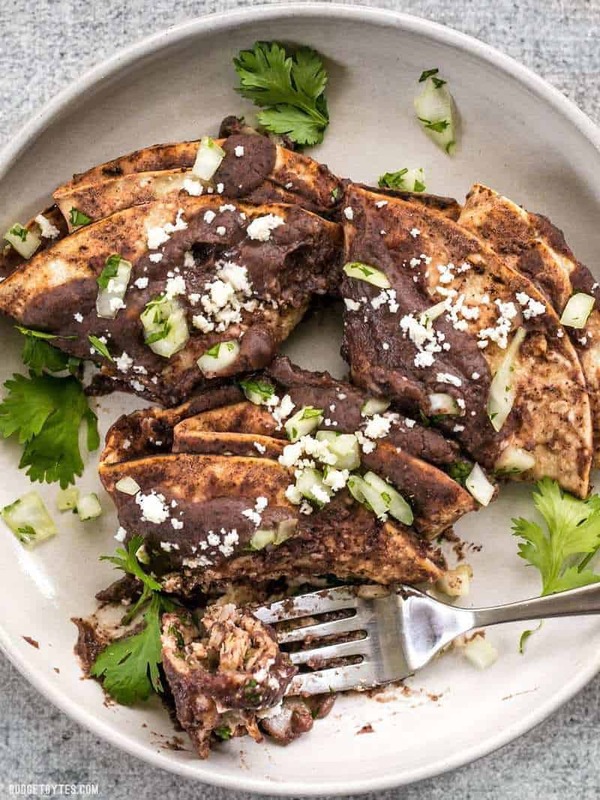 Some enfrijoladas are as simple as a tortilla dipped in sauce, folded, and garnished, while others are filled, rolled, baked, and topped with a variety of ingredients. I kept my Enfrijoladas pretty simple, with just a little cheese and a sweet onion and cilantro relish. If you want to amp it up, try other filling and topping ingredients like chorizo, avocado, radishes, diced tomatoes, or maybe even a little cooling lime crema to balance the smoky spicy black bean sauce. 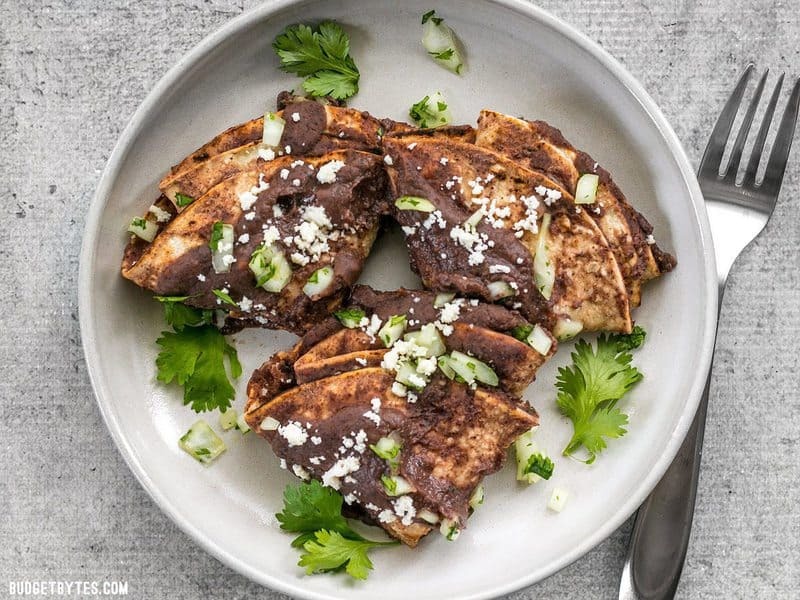 Enfrijoladas are an easy, flavorful, and customizable recipe based on corn tortillas drenched in a spicy black bean sauce. 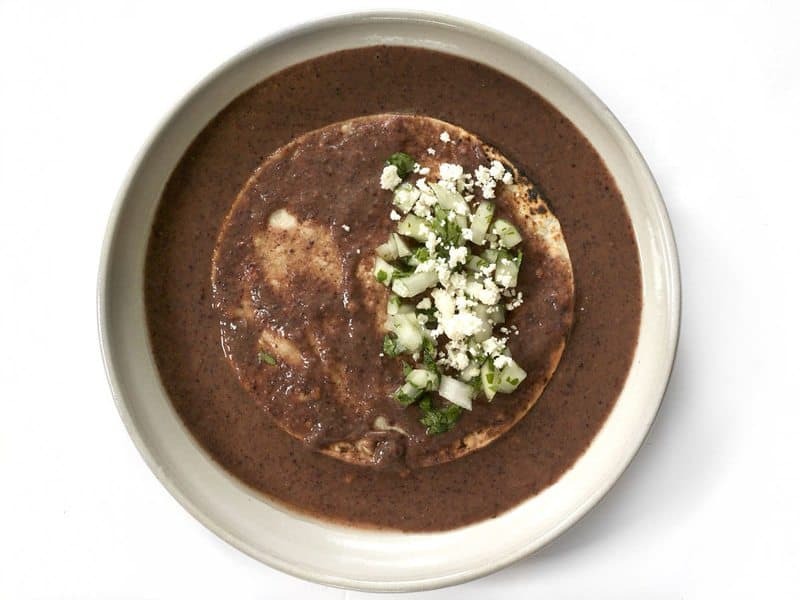 One by one, dip the tortillas in the black bean sauce until both sides are coated in the thick sauce. Sprinkle a little cheese and a little of the onion cilantro mixture over half of the tortilla, fold it closed, then fold in half once more to make a triangle. Place the dipped, filled, and folded tortillas in the prepared casserole dish. Be careful to only place a very small amount of filling in the tortillas to make them easier to fold. More filling will be placed on top after baking. 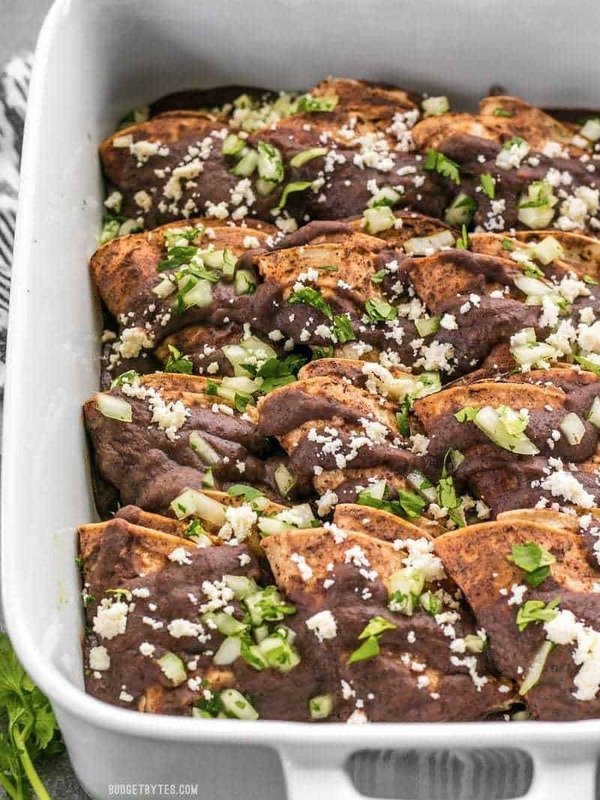 Once all the tortillas are dipped, filled, folded, and placed in the casserole dish, pour any remaining black bean sauce over top. Bake the tortillas in the preheated oven for about 15 minutes, or just until heated through. Top with the remaining cheese and onion cilantro mixture after baking, then serve. *I use Better Than Bouillon to mix up broth when I need it and in the amount that I need. **You can use your favorite cheese for this. Cojita, queso fresco, and Monterey Jack are all nice. If you can't find a crumbly Mexican cheese like cojita or queso fresco, feta actually makes a decent substitute. Chipotle peppers in adobo sauce are like tomato paste in that despite the fact that they come in a super small can, I never seem to use the whole can. Luckily, just like tomato paste, you can freeze the leftovers for your next recipe! If you have an extra ice cube tray you can spoon one pepper and a little of the sauce into each well and freeze until solid, then transfer to a freezer bag. If not, you can freeze them in quart-sized freezer bag. Squeeze out as much air as possible, then use your hands to move each pepper apart from one another within the bag, and freeze flat. 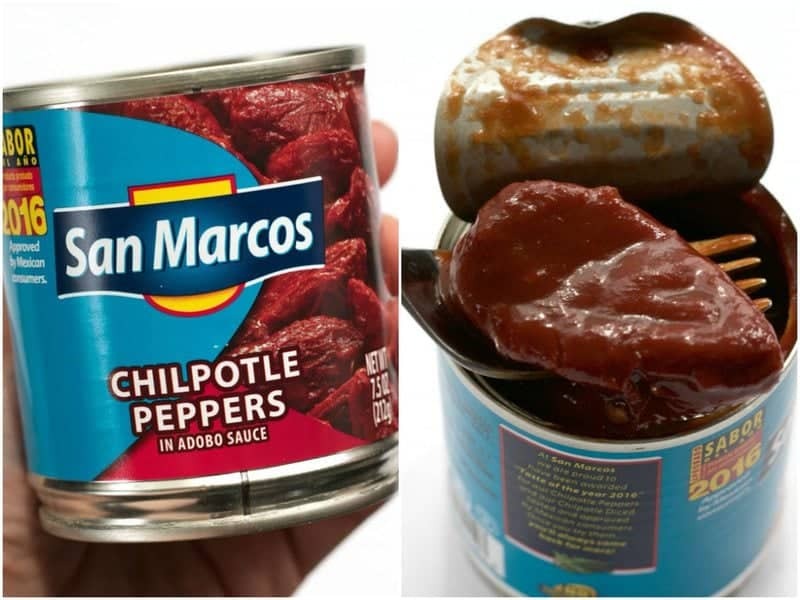 If you’re unfamiliar with chipotle peppers in adobo, they are usually sold in these small cans that can fit in your hand and you’ll most likely find them in the International aisle of your grocery store (or, check for a Hispanic market in your area). These are spicy smoked peppers that are VERY flavorful, so I only used two peppers and about 1 Tbsp of the sauce. The rest can be frozen for your next recipe. 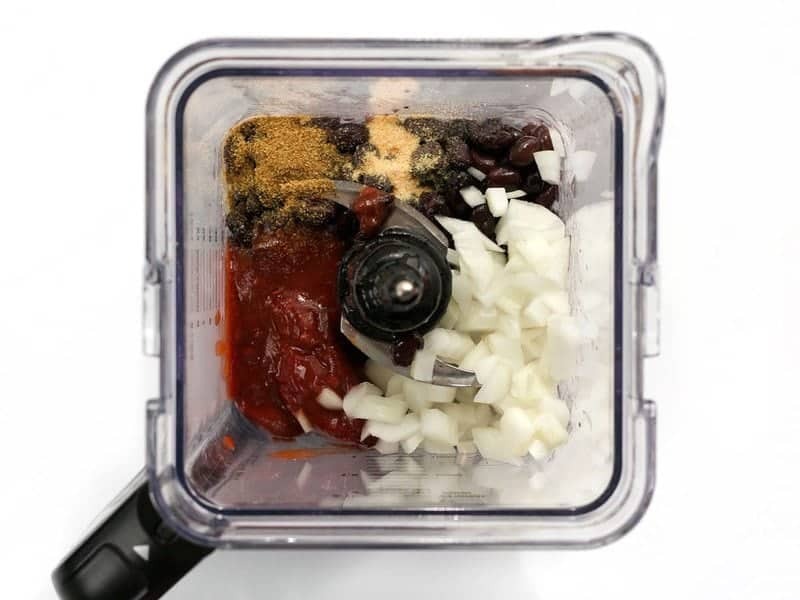 To make the sauce for the Enfrijoladas, add 2 drained cans of black beans to a blender or food processor along with the two chipotle peppers and 1 Tbsp of adobo sauce, 1/4 of a sweet onion (like vidalia), 1/2 tsp cumin, and 1/4 tsp garlic powder. Add 1 cup chicken or vegetable broth and blend, adding more broth as needed, until a thick smooth sauce forms. Taste the sauce and add salt if needed (this will depend highly on the salt content of the broth you use). Begin preheating the oven to 350ºF. Finely dice the rest of the sweet onion, and roughly chop about 1/4 bunch cilantro. 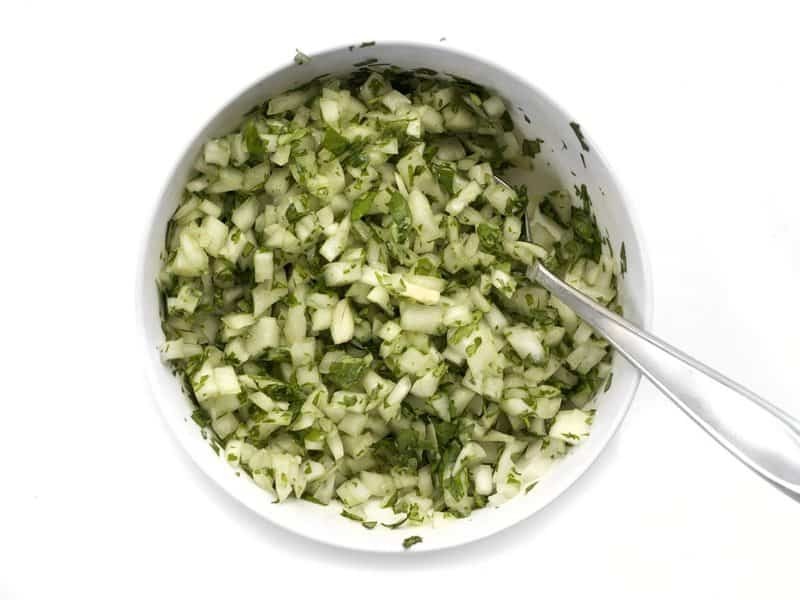 Combine the onion and cilantro, along with a pinch of salt, and set the mixture aside. Warm the tortillas by microwaving the stack for 30 seconds, toasting in a skillet, or directly on a gas flame. 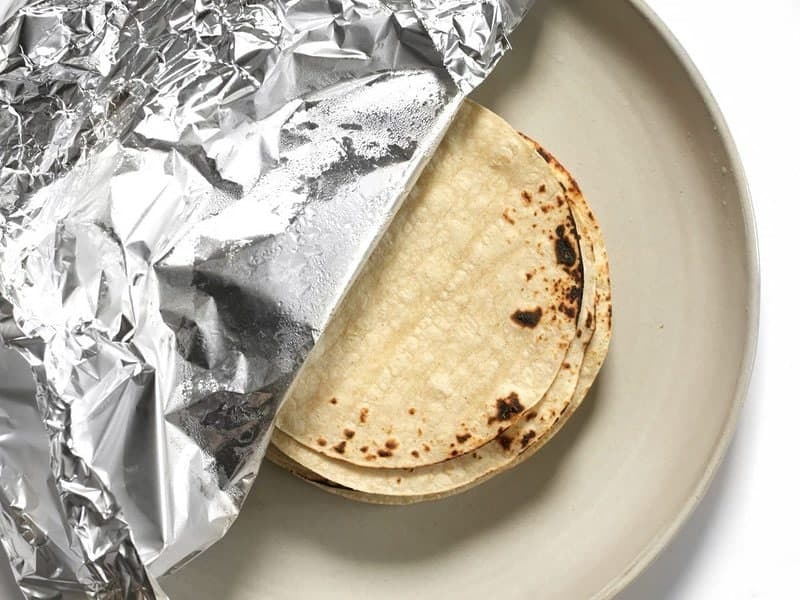 Cover the stack of warm tortillas with foil to hold in the heat and steam, and keep them pliable. 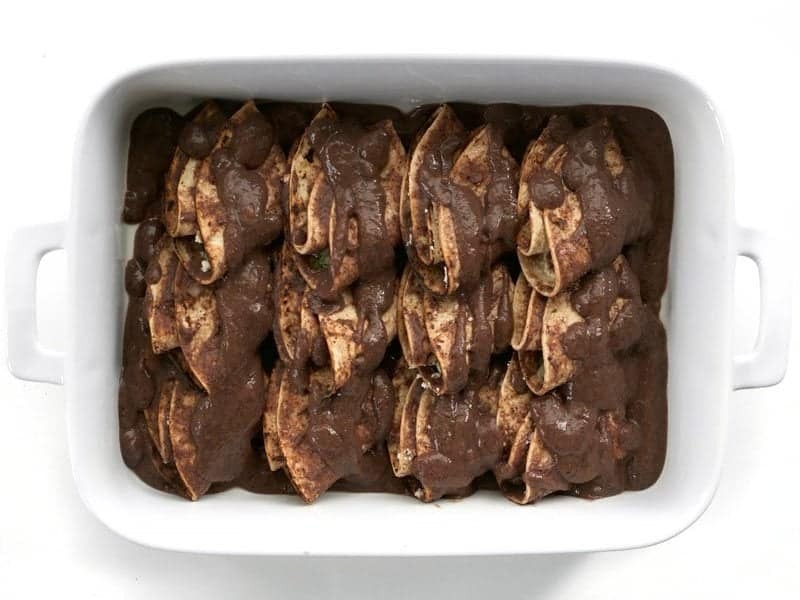 Once all the dipped, filled, and folded tortillas are in the prepared casserole dish, pour any remaining black bean sauce over top. Bake the enfrijoladas in the preheated oven for 15 minutes, or just until heated through. After baking, top with a little more fresh onion cilantro mixture and more cheese, then serve! I would say it’s lacking a little flavour and would need more fat content next time I make it. I’m vegetarian so I think if I used chicken broth I wouldn’t have an issue, so maybe I’ll add in a little bit of oil into the sauce next time or put a little bit of butter on my tortillas when I prepare them. Otherwise, super awesome! I’m having this for lunch and just shared it out with my colleagues. They all raved and I even got a ‘well done you’. I have printed out a few copies of this recipe so I assume there will be a run on black beans in the shops tonight. One can sub smoked paprika and ketchup for the chipotle/adobo in most recipes. For a non-spicy chiles in adobo sauce, I use a food dehydrator to dry bell peppers, then toast the dried chili for 30 seconds in the microwave, or toast them directly over a stove burner, held with tongs. For the adobo sauce, I use Rick Bayless’ recipe: Search for his New Red Chile Adobo sauce- it uses ancho chile powder, instead of assorted dried chiles. In order to keep it mild, I use a regular, mild chile powder. One bell pepper is about 2 of the spicy peppers in weight- just soak it in the adobo sauce overnight. There you go- all the flavor complexity, but no spicy burn. I use a mild paprika- smoked, if I can find it! I highly recommend making a double batch of sauce, because the Enfrijoladas turned out dry the first time I made them. I made them again tonight, doubled the sauce, and they were amazing! I cooked dry beans for this recipe- 1 heaping cup of dry beans for a single batch of sauce. I also changed the filling by adding sweet potato and shredded chicken. 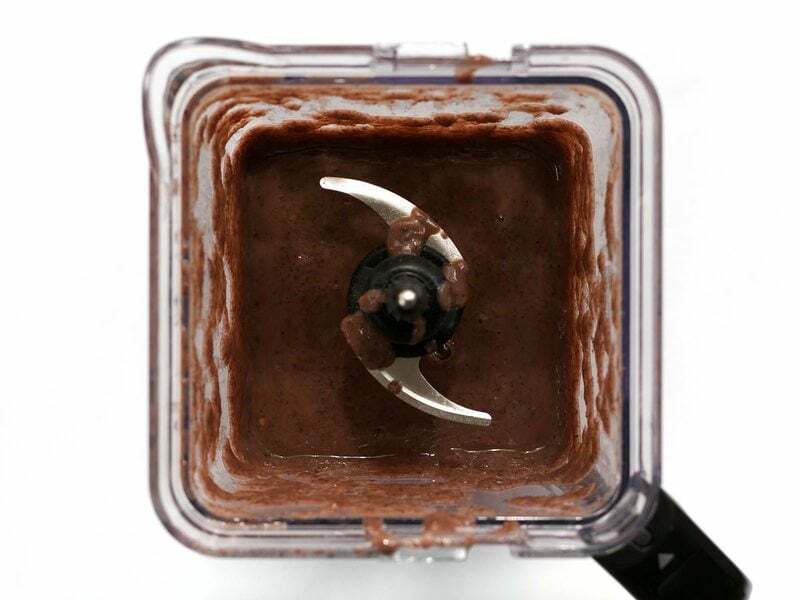 When I get the canned chipotle adobo sauce , the first thing I do is blend it up in a blender. Then I measure it for the recipe. The rest it put in the freezer to break off a chunk for cooking the next time. I cook for me only- so freezing is essential . Really good. Next time, I think I would at least partially cook the onion first. With only 15 minutes cook tome, it was a bit overwhelming with slightly-raw onion flavor. Otherwise, perfect for Taco Tuesday in our house. We take our Taco Tuesdays very seriously around here. I’d personally add more chipotle next time – this wasn’t quite spicy enough for me, but still flavorful. I served it with yellow cauliflower “rice” with peppers and tomatoes. Really enjoyed this! One of those that was better the next day I feel! I made a riff on this recipe. I used the whole can of chipotle + adobo because I like my food very spicy. I also upped the cumin to 1sp. My filling was ground chicken with your taco seasoning recipe and I rolled up the corn tortillas like regular enchiladas. The Enfrijoladas sauce was truly sublime. I will be using this recipe again! I don’t have an enfrijolada sauce recipe but gosh — this recipe looks so much like your enchilada sauce recipe. It seems like the chipotle + adobo sauce should be interchangeable with the flour, dehydrated red pepper, some of the water, and maybe an ounce of the tomato sauce from that one. Hayley here from Toronto, Canada! I made these last night and although they taste great, the bottoms of tortilla triangles were soft and almost mushy. Did I add too much black bean sauce to the dish first… or perhaps not toast the tortillas long enough? Any thoughts/pointers would be great. Wondering if I can use a shallot instead of the sweet onion? I can only buy sweet onions in a 3 lb bag from the grocery around the corner! :) I also have a regular white onion…. These look amazing! And will be a great way to make sure our corn tortillas don’t go moldy… I HATE it when that happens! These were amazing! We used refried black beans as a short cut (no real need to break out the blender, then). I’ll add lime to the cilantro and onions next time but this will definitely be repeated–thanks!! This is great, I make your weeknight enchiladas all the time. Having one vegetarian in the house makes this a perfect meal. I added a chipotle to your enchilada sauce to change it up and have the rest of the can to use up. I love your recipes and am so thankful to have found your site.